• Brahmi is an herb with known benefits to the human body and is found in the tropical wetlands of almost every continent. 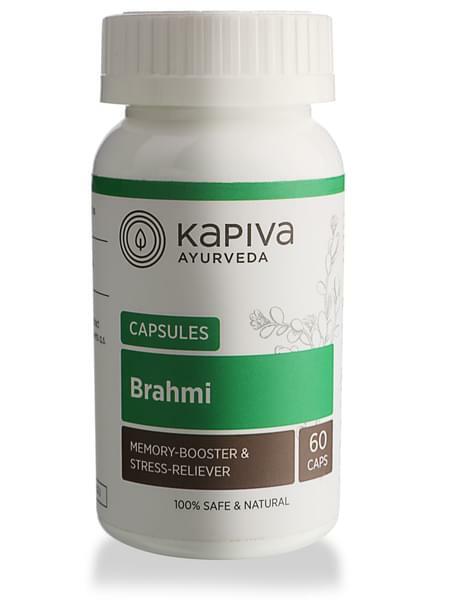 • Kapiva’s Brahmi Capsules condense the natural extracts of this botanical beauty into small doses that can be consumed daily. • Sharpens both short-term and long-term memory. • Helps recover from nerve disorders. • Relieves stress and combats sleep-related disorders. • Consume two capsules at a time twice a day as a healthy addition to your lifestyle. • Kapiva derives its name from the three doshas of ayurveda – Kapha-Pitta-Vatta. our range of 200+ GMP Certified products have the right herbs in the right dosage and provide solutions to a variety of ailments. It's the day and age of hybrids, so go ahead and enjoy the best of both worlds - Ayurvedic tradition + Modern-day science and technology.